Sure, you could pop a little battery charger into your camping gear this summer; one that will give your phone another boost for an hour or two. Or you could pack something that will not only give you boost, put power all your mobile needs for the whole weekend. 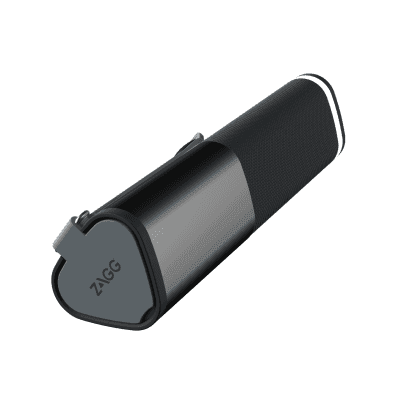 We test our biggest ever portable power charger, the ZAGG Power Amp 18. Portable chargers, the likes of which we’ve reviewed many many times, are measured in milliamp hours, or mAh. Basically the bigger the number, the larger the amount of juice you’ll be getting from it, so we were pretty impressed to see that the flashlight-sized ZAGG Power Amp 18 packs 18,000 mAh. That’s good. 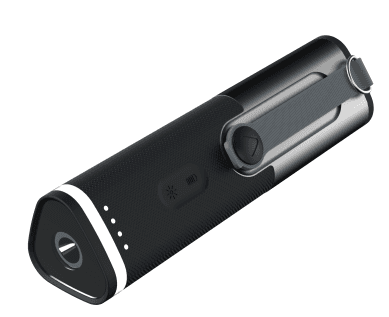 So good in fact, that it will fully charge your averagely sized smartphone six times over. That means, with this in your kit bag on a camping trip (and with normal use) you could keep your phone going for almost a week! If that seems like overkill, it ain’t, as the ZAGG Power Amp 18 features three separate USB ports to let you simultaneously charge three gadgets. So for a weekend camping trip, you and your two mates will be sorted. But wait, energy-guzzlers… there’s more. 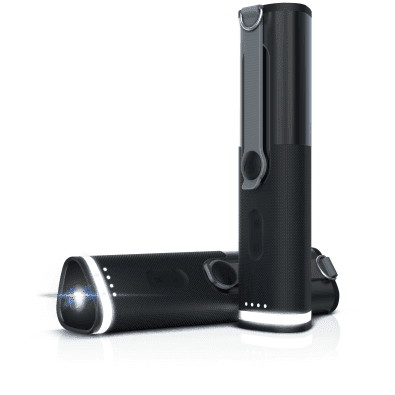 When we described it as flashlight-sized, we weren’t joking. The charger can draw upon all that stored electricity to power a main beam torch, as well as a lantern and blinking emergency beacon. So yeah, this is your camping light as well. The unit itself is made from tough aluminium with a hand-pleasing silicone wrap and hanging strap. It feels like a solid package, one that could survive quite a few knocks in your hiking bag or car boot. On the inside, as well as that huge battery capacity, ZAGG have packed in ‘quick chip’ technology. Basically, this can detect the type of gadget you plug into it, therefore delivering the correct type of charge to speed things up. We charged a completely flat ASUS ZenPad 8 tablet from the Power Amp 18 in just 45 minutes – quicker than plugging it into the mains. For summer camping trips this is awesome, but we’re sure to find heavy use for it during the rest of the year too. Charge it up, pop it in the glove compartment of your car, and you’ll know that no matter what happens, you’ll always be able to make a call. Or, more importantly, check Facebook.